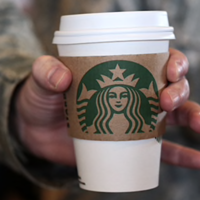 In honor of Veterans Day on November 11th, Starbucks will be offering all veterans, active duty and military spouses a FREE tall (12 oz) hot brewed coffee! Note that this offer is valid at participating locations, so you may want to call ahead. Spread the word!